Wild boars are an important part of the web of life on Russia’s Far East. They reproduce quickly and grow big on the seeds of pine nuts found in the forests. In turn they provide food for large predators such as bears, tigers, and wolves. Wild boars eat almost anything, including nuts, berries, roots, insects, and small animals. Boars have a very wide distribution, native to forests and other habitats throughout central Europe, the Mediterranean, Asia, and North Africa. Using their sharp hooves and rubbery snouts, wild boars root for food along the forest floor. They travel about in small groups and sleep curled up together. 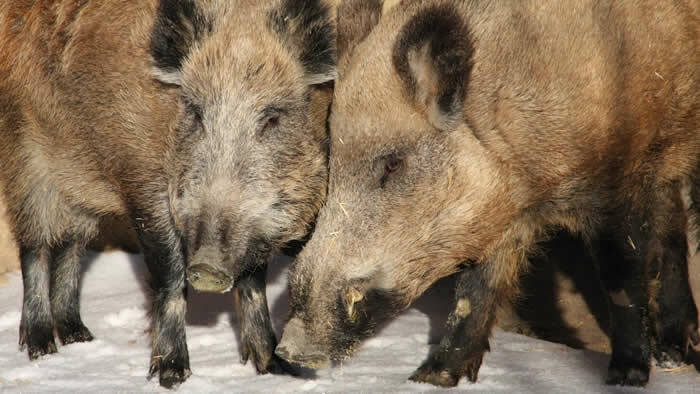 Wild boars populations are declining in eastern Russian forests. Elsewhere populations have been lost due to hunting and habitat loss, or been altered by interbreeding with domestic pigs. Wild boars are the ancestors of domestic pigs. Wild boars fight by slashing at each other’s shoulders, which have thickened skin and matted hair for protection. 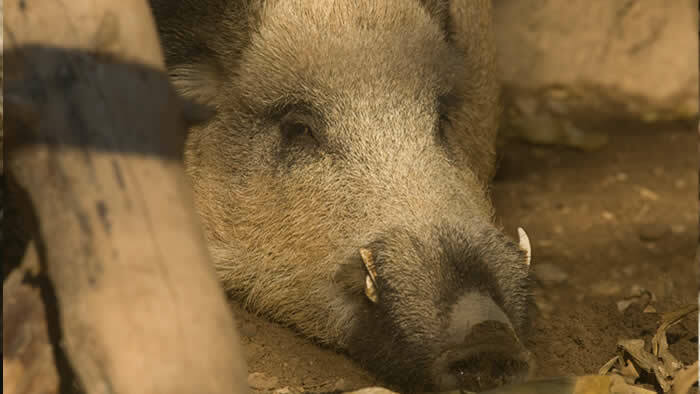 The hair from the neck of wild boars was commonly used to make toothbrushes before synthetic materials were invented. 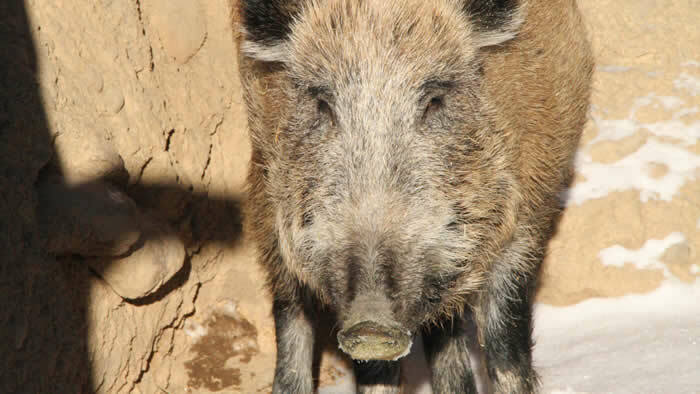 Wild boars have a keen sense of hearing and smell, but poor eyesight. Wild boars bear large litters and breed year-round in mild climates. If they had sufficient resources and no predators, their numbers could double every four months. Wild boars are common and in many places considered pests because of the damage they cause to crops and native plants. In the southern forests of Russia’s Far East, numbers have declined as forests have been altered by human activity.